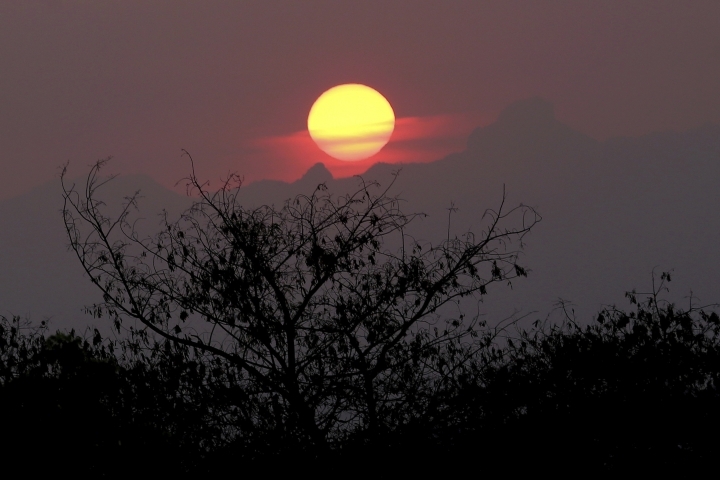 FATUKOKO, Indonesia — The stranger showed up at the girl's door one night with a tantalizing job offer: Give up your world, and I will give you a future. 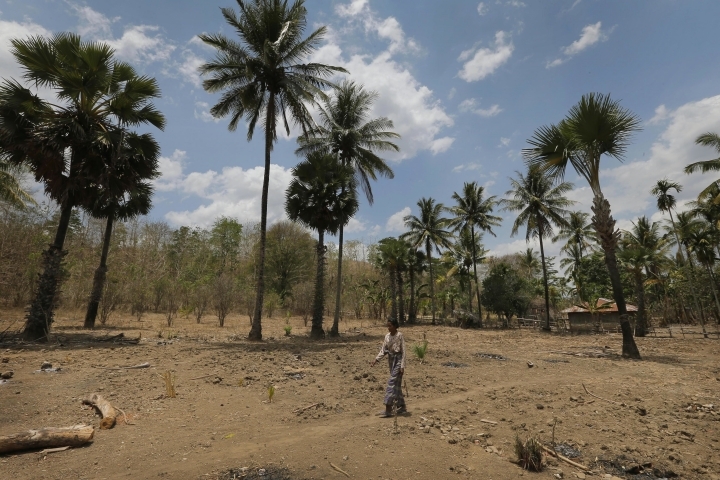 It was a chance for 16-year-old Marselina Neonbota to leave her isolated village in one of the poorest parts of Indonesia for neighboring Malaysia, where some migrant workers can earn more in a few years than in a lifetime at home. A way out for a girl so hungry for a life beyond subsistence farming that she walked 22 kilometers (14 miles) every day to the schoolhouse and back. The cheerful child known to her family as Lina joined the army of Indonesians who migrate every year to wealthier countries in Asia and the Middle East for work. Thousands come home in coffins, or vanish. 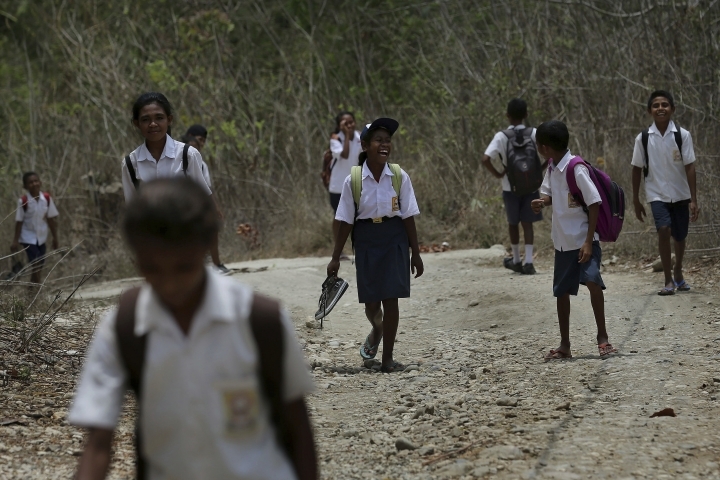 Among them, possibly hundreds of trafficked girls have quietly disappeared from the impoverished western half of Timor island and elsewhere in Indonesia's East Nusa Tenggara province. 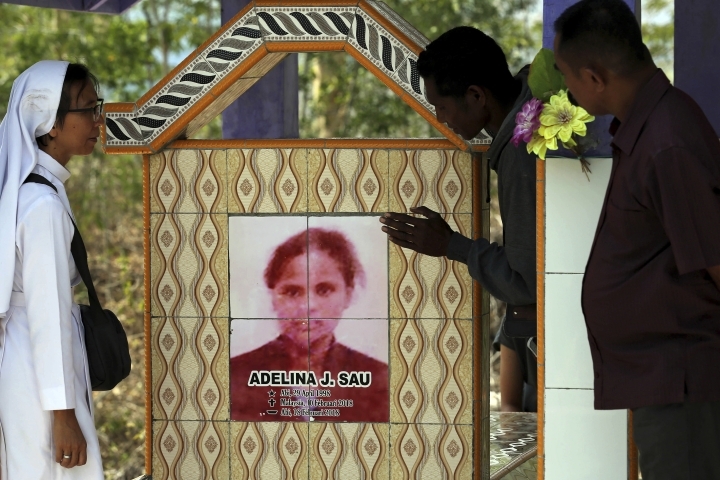 The National Agency for Placement and Protection of Indonesian Workers has counted more than 2,600 cases of dead or missing Indonesian migrants since 2014. And even those numbers mostly leave out people like Lina who are recruited illegally -- an estimated 30 percent of Indonesia's 6.2 million migrant workers. On that night in 2010, Lina didn't seem to sense the danger posed by the stranger named Sarah. But Lina's great-aunt and great-uncle, who had raised her, were hesitant. Lina's aunt, Teresia Tasoin, knew a Malaysian salary could support the whole family. Her husband — fighting both a teenager's excitement and a crushing headache — doubted he could stop Lina from going. Looking back on it now, Tasoin crumbles under the weight of what-ifs. "I regret it," she says through tears. "I regret letting her go." It has more migrants than any region on earth, with millions traveling within Asia and to the Mideast for work. Yet it has the least data on those who vanish. In an exclusive tally, The Associated Press found more than 8,000 cases of dead and missing migrants in Asia and the Mideast since 2014, in addition to the 2,700 listed by the U.N.'s International Organization for Migration. 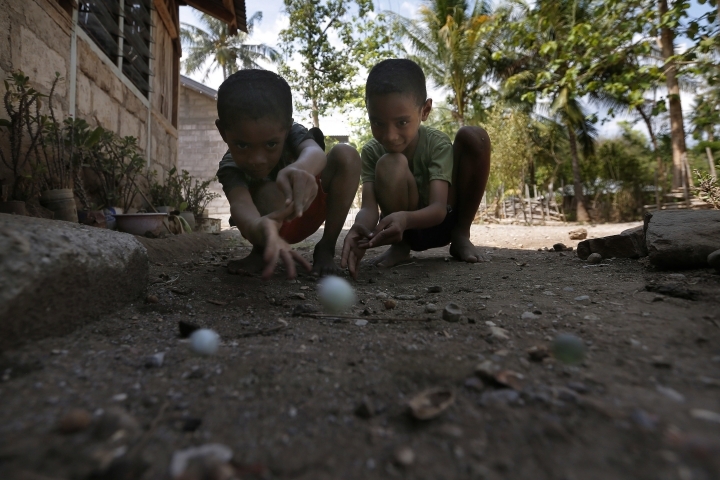 More than 2,000 unearthed by the AP were from the Philippines alone. And countless other cases are never reported. These workers reflect part of the hidden toll of global migration. An AP investigation documented at least 61,135 migrants dead or missing worldwide over the same period, a tally that keeps rising . That's more than double the number found by the IOM, the only group that has tried to count them. While it's not clear how many left for jobs, in general workers make up about two-thirds of international migrants, according to the International Labor Organization; the rest are fleeing everything from drug violence to war and famine. Migrants may die on perilous journeys through deserts or at sea, while many others like Lina disappear into networks that traffic in people. Inside a little church across from Lina's house, Sister Laurentina is praying before a riveted crowd. Slight and soft-spoken, the nun — who like many Indonesians goes by only one name — is nonetheless a giant presence before the parishioners. There is danger in trusting illegal recruiters, she warns. There is death. Her words are not hyperbole. 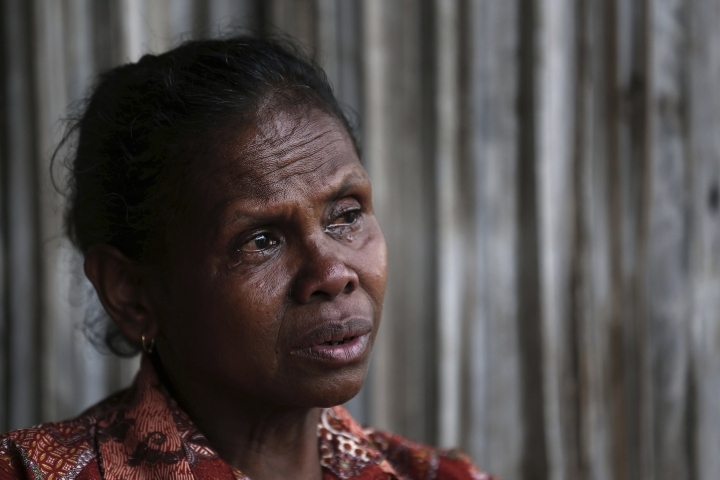 She waits at the airport for the arrival of nearly every migrant worker's corpse that is flown back to Kupang, a ritual that has earned her the nickname "Sister Cargo." One day after her warning to parishioners, she will be back at the airport, praying over the 89th coffin this year that has returned from Malaysia with the remains of a local migrant. Some die from accidents or illness, she says. Others from neglect and abuse. 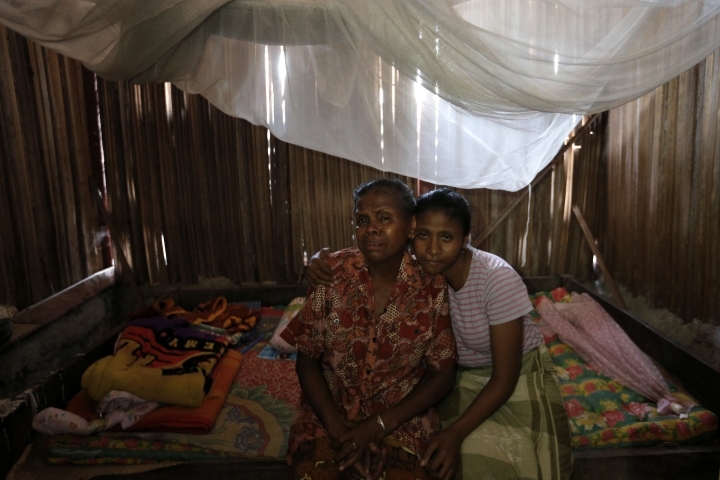 Laurentina is one of the few people in West Timor even trying to track the missing. Since 2012, she has traveled across the island to educate villagers on the dangers of traffickers. She has held at least 20 meetings this year alone. 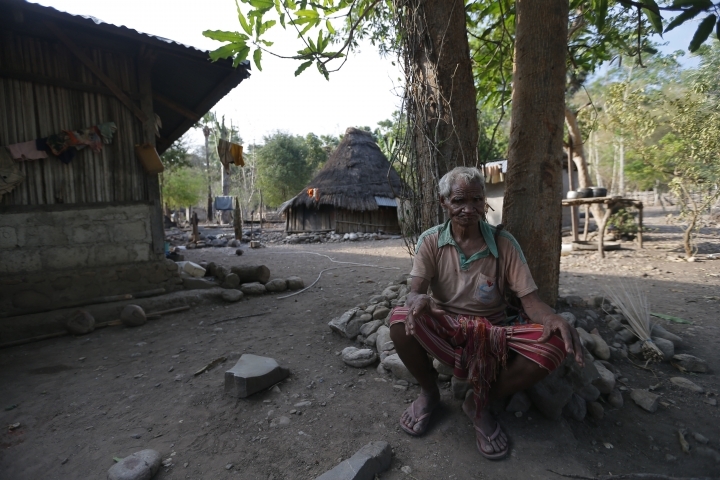 The remoteness of West Timor and a lack of education mean many people just don't understand the danger. 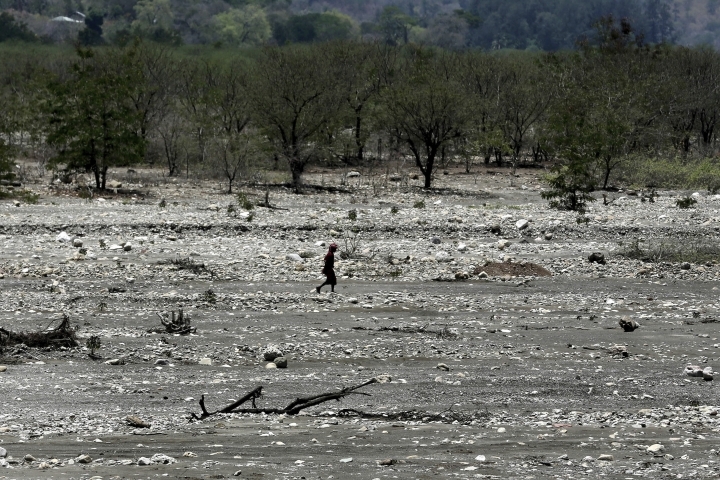 But even for those who do, a trip through the drought-punished region makes clear why they risk their lives to leave. In the village of Oe'Ekam, priest Maximus Amfotis watches as locals line up at a water tank, filling containers some will have to lug several kilometers home. 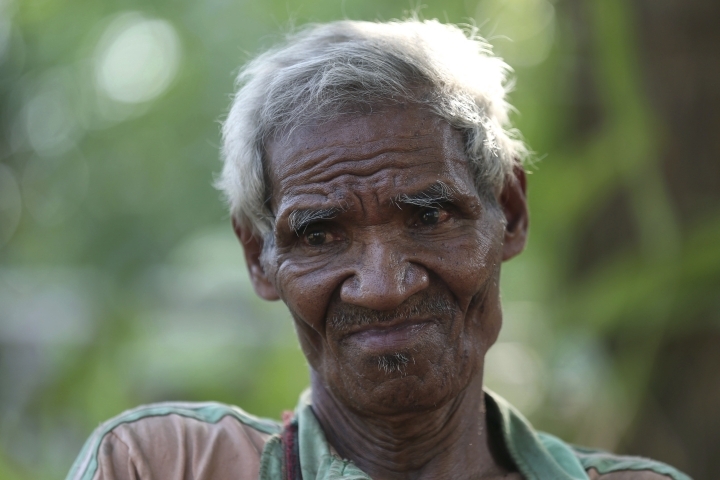 He regularly hears of local teens migrating to Malaysia for work, never to return. There was a new case just two weeks ago, he says. The cycle seems endless. "If we cannot stop this problem," he says, "I fear that the current generation will be lost." The road to her house is so rocky that by the time you arrive, it feels like you've gone through an hours-long earthquake. The sunny, hardworking girl was just 14 when she traveled down that same rocky path four years ago on a motorbike bound for Kupang. That morning, Orance told the grandmother she lived with, Margarita Oematan, that she was going with her older cousin Yeni to a priest's house to study the Bible. When she failed to return, her uncle went looking for her. He walked as far as the river where she sometimes swam, but found no trace of his niece or Yeni. A driver later told the family that the girls had hired a bike. 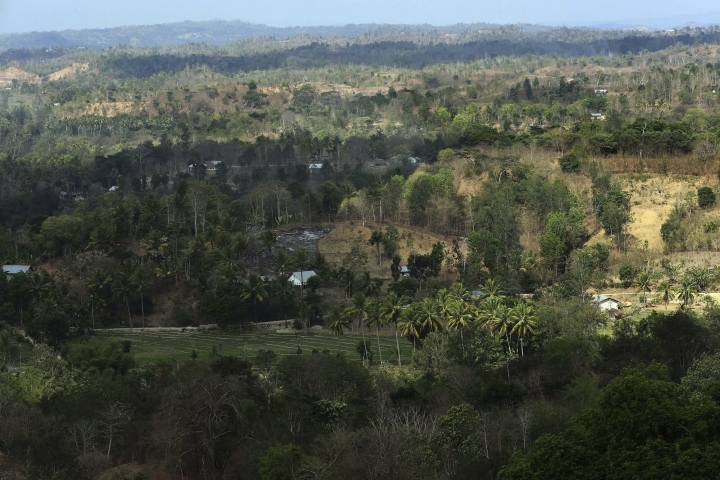 In much of West Timor's remote interior, electricity, phones and cars are a luxury. So absolute is the isolation that some islanders have never even seen the sea. So when a child goes missing, many families don't know who can help. Families also hesitate to contact officials because they often accept payment from the recruiters, who exploit a tradition known as okomama. The practice involves placing a small gift — a bit of money or betel nut — in a basket in exchange for a favor. The offering is a show of respect. It is also a contract. Orance's case is hardly an anomaly, the investigator says. In his visits to nearly 150 villages, most of the families he's interviewed say they have lost contact with at least one relative who migrated for work. And most of the missing, he says, are girls. Officials searched immigration records for Orance, without success. That's not surprising, as traffickers often falsify names, birthdays and addresses on migration papers. Finding these girls is virtually impossible, says Among Resi, head of the IOM's counter-trafficking and labor migration unit in Indonesia. The families have almost no details on where their child has gone. They rarely even have a photo. 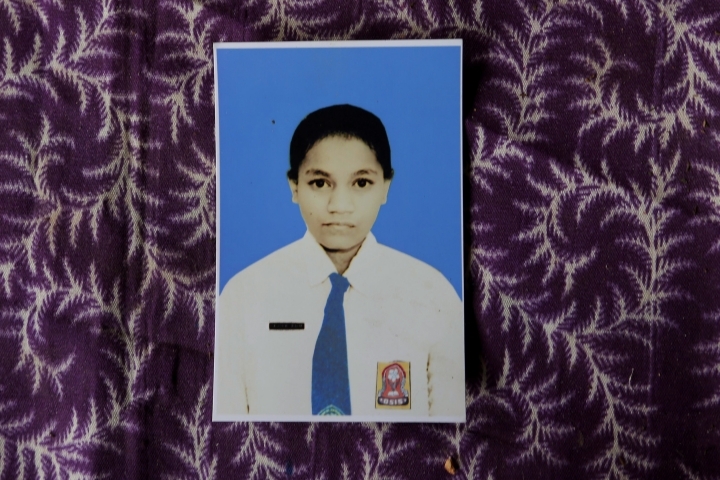 The assumption, Resi says, is that many of the girls are trapped in their employers' homes. Domestic workers are highly vulnerable to abuse, because they toil behind closed doors for families who often take their passports to stop them from fleeing. Other girls, Resi says, may have run away and ended up in abusive relationships or encountered other dangers. She eventually ended up in the port town of Dumai, and knew she'd soon be shipped to Malaysia. One day, when the security guards were away, she managed to call her father. He ordered her to put the recruiter on the line, then threatened to call the police if his daughter was not released. Yunita was set free. Orance's family is still hoping for a call of their own. But after four years of silence, much of that hope has given way to dread. 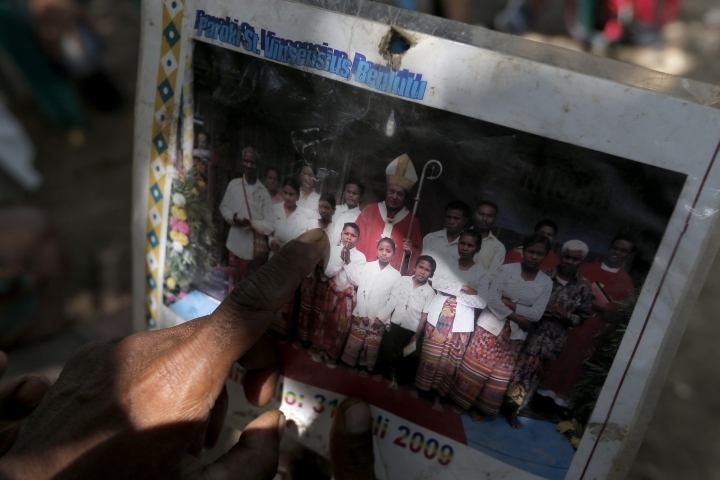 "So many coffins are coming back with bodies," Oematan says. "I'm always afraid that someday, it will be Orance inside one." Adelina Sau's long journey home came in a shrink-wrapped coffin marked "Fragile." Her grave lies along the side of a lonely road. Staring out from the tombstone's tiles is a blurry picture of her face, an image taken from a photo a cop snapped of her passport. Tall and sturdy, Adelina was strong enough as a child to help her parents lug buckets of rice from the farm to their home. Though obedient, she grew tired of their poverty, and envied her friend's new clothes. The recruiter's other promises fell apart. Adelina returned home after a year, having been paid just $200 total. This time, her family says, it was a neighbor's friend named Flora. She offered Adelina a job as a maid in Malaysia, an offer flatly rejected by Adelina's mother, Yohanna Banunaek. Her daughter had just been cheated by the last recruiter, she told Flora. When Banunaek came home, she was frantic. She ordered a relative of Flora's to try and contact her. A week later, she says, a gift from Flora arrived: Around $30. The family never heard from her again. They didn't report Adelina's disappearance because they didn't know how. A year passed with no news. Still, in 2015, Adelina's sister, Yeti, accepted a job as a babysitter in Malaysia. Two years later, Yeti returned home safely, having been paid what she was promised. For her, the deal had been a dream. For Adelina, a nightmare. Word of Adelina's fate finally arrived in February this year. So painful were the details that her mother couldn't eat for a week. Adelina had been working as a maid for a Malaysian family when a local lawmaker's office received a tip from neighbors who suspected she was being abused. Officials found bruises on her head and face and infected wounds on her hand and legs, police said. She was hospitalized, but died the next day. An autopsy found septicemia and cited possible abuse and neglect. A grim photo of Adelina on local news sites showed her sleeping outside the home on a ragged mat near the family's dog. A 59-year-old woman was charged with murder. Her trial is pending. Adelina's parents kept their daughter's coffin inside their home for two days before laying her to rest. A few months later, Yeti gave birth to a baby girl. She named her Adelina. Banunaek believes the baby holds her daughter's soul. Banunaek clings to this belief, and to the sweet memories of her lost girl. Along with the blurry photo, there's little else she has left. 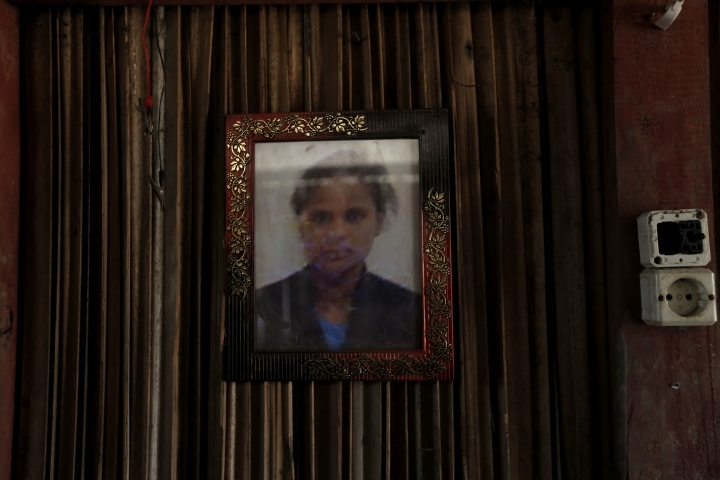 Five years after Lina went missing, the military paid a chance visit to her village. Lina's uncle, Laurencius Kollo, told them about the night his niece walked out the door with Sarah. The soldiers alerted the police, who took an official report. The years dragged on. Kollo prayed every night for his niece's return. He would walk and walk around the village to try and release his pain. And then, one day in March this year, word arrived that a neighbor's daughter was returning home from Malaysia. Maybe, Kollo thought, Lina was coming with her.